In 2008, my family and I relocated to the United States. Without health insurance and access to healthcare, we didn’t know where to turn. 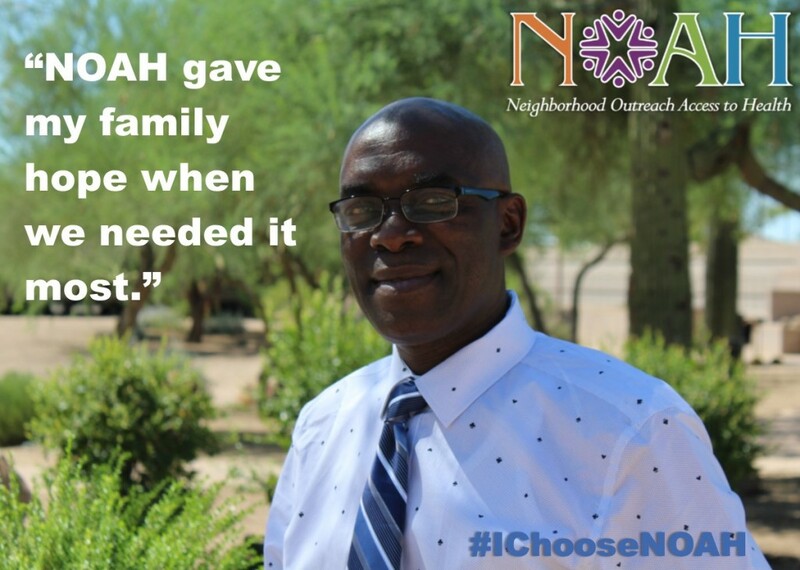 We were referred to NOAH-Neighborhood Outreach Access to Health, an organization that focuses on helping all people, even those that are vulnerable. They treated our health care needs, giving my family hope. In 2010, I wanted to advocate for the great work NOAH does for their patients and chose to become a member of the Board of Directors. Community health centers provide care to everyone, even the under-resourced and under-insured. As a board member, I support our delivery of affordable comprehensive health services including medical, dental, behavioral health, nutrition, prenatal care, and community resource programs, allowing our patients to focus on meeting their health care needs. My goal is to become an expert in the health care industry, sharing my experience and advocating for the great work community health centers do for our community. Health is wealth, and quality health for all, which NOAH is giving, will change our community for the good!